Complementary and alternative medicine (CAM) use has steadily increased over the years in the United States and abroad. Bioresonance therapy is no exception despite its introduction over 40 years ago. Our practice is committed to embracing this growing trend using cutting-edge electronic biofeedback technology as traditional healthcare practices continue to lag behind. Bioresonance therapy, also known as bio-physical information therapy, is a safe, efficient, and cost-effective diagnostic tool used to assess the whole person. This is a nice change from the treat and street symptom management found in many healthcare offices today. 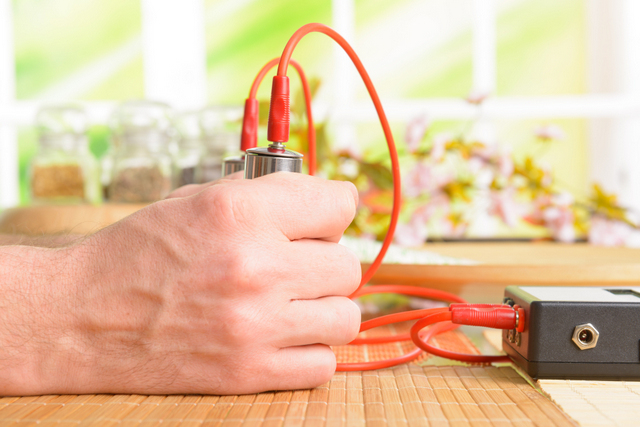 Bioresonance therapy was originally designed to guide naturopathic care. Now it’s used to treat a variety of conditions that may be complicated by traditional drug treatments. A trained healthcare provider performs bioresonance therapy and treatment in a controlled setting. This drug-free approach uses an electronic device to monitor waves of energy produced naturally by the body to evaluate cell function and overall health. The goal of bioresonance therapy is to identify and minimize the effect of any disease-causing electromagnetic frequencies necessary to restore homeostasis. Bioresonance therapy is currently used to treat the following conditions: addiction, cancer, chronic respiratory diseases (i.e., allergies, asthma), chronic skin conditions (i.e., dermatitis, eczema), hormonal imbalances, fatigue, pain, systemic inflammatory diseases (i.e., rheumatoid arthritis), various sleep disorders, and several others. • Promotes healing from within. • Strengthens the body’s natural defenses. • Alleviates adverse side effects associated with radiation and chemotherapy treatments. • May be able to identify illnesses early on. Is Bioresonance Treatment Right for you? Unlike many other conventional treatments, bioresonance therapy is non-invasive and pain-free, which makes it suitable for patients of all ages. Plus, it has a minimal side effect profile. We will create a tailored treatment plan to provide you with the best treatments possible for any health concerns or pain you may have.